A GATHERING OF FAMILY AND FRIENDS TO CELEBRATE THE LIFE OF LARRY ANDERSON OF BRAINERD IS TOMORROW AFTERNOON (2-4 PM) AT THE GREENBUSH COMMUNITY CENTER. LARRY ANDERSON, A ROSEAU HIGH SCHOOL GRADUATE, WAS 59. A FUNERAL SERVICE FOR REBECCA RAHIER-WASKUL OF WARROAD IS TOMORROW AFTERNOON AT ONE AT SACRED HEART CATHOLIC CHURCH IN ROSEAU. VISITATION IS AN HOUR PRIOR.REBECCA RAHIER-WASKUL WAS 40. O’BRIEN STROMSODT, WHO IS MISS MOORHEAD 2019, HAS AN INFORMATIONAL EVENT ON ADDICTION APRIL 28TH (2-4 PM) AT THE MIDDLE RIVER AMERICAN LEGION. THE EVENT RAISES MONEY FOR THE LOST AND FOUND RECOVERY CENTER. O’BRIEN STROMSODT GRADUATED FROM GREENBUSH-MIDDLE RIVER HIGH SCHOOL IN 2017. 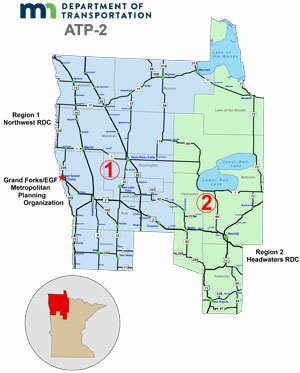 THE ROSEAU COUNTY BOARD, THIS WEEK, APPROVED PURCHASE OF JUST OVER THREE ACRES OF RIGHT-OF-WAY EASEMENT ALONG COUNTY ROAD 9, FROM THE MINNESOTA D.N.R. THAT ACQUISITION IS NECESSARY FOR A RE-CONSTRUCTION PROJECT ON THAT COUNTY ROAD THIS SUMMER. ROSEAU’S AYLA GROSS, WYATT CAMERON AND SKYLLAR SCHOENING COMPETE AT THE STATE CLASS “A” SPEECH MEET TODAY IN WAYZATA. THE ROSEAU SCHOOL BOARD, THIS WEEK, TABLED A REVIEW OF A SCHOOL DISTRICT RESIDENT SURVEY ON THE DISTRICT’S PROPOSED BUILDING RENOVATION AND/OR CONSTRUCTION PROJECT … ROSEAU SCHOOL BOARD CHAIR PETE KVIEN. THE BOARD WILL CONSIDER THE SURVEY AT THEIR REGULAR MONTHLY MEETING MONDAY EVENING. AN INDOOR EASTER EGG HUNT IS A WEEK FROM TOMORROW (April 20/ Ten to Noon) AT THE ROSEAU SCHOOL.CARNIVAL GAMES START AT TEN AT THE SCHOOL COMMONS. THE ROSEAU COUNTY HISTORICAL SOCIETY HAS IT’S 92ND ANNUAL MEETING THIS AFTERNOON (1:45 PM) AT THE ROSEAU CITY CENTER,FOLLOWED BY A PERFORMANCE BY THE IRISH BAND “THE LOST FORTY” …THE LOST FORTY IS BRIAN MILLER, FROM BEMIDJI; AND RANDY GOSA, FROM WALES, WISCONSIN. HOUSTON ENGINEERING SHOULD HAVE A HIGHWAY 89 URBAN SECTION STUDY READY FOR CONSIDERATION BY THE MINNESOTA DEPARTMENT OF TRANSPORTATION NEXT MONTH. THE CITY OF ROSEAU HAS ASKED MINN-DOT FOR SEVERAL DECADES FOR AN IMPROVEMENT TO THAT SECTION OF HIGHWAY BETWEEN HIGHWAY ELEVEN AND 7TH STREET SOUTHWEST …. ROSEAU COMMUNITY DEVELOPMENT COORDINATOR TODD PETERSON SAYS THE IMPROVEMENTS COULD INCLUDE ROUNDABOUTS. THE APPLICATION DEADLINE FOR A ROSEAU TEACHERS ASSOCIATION SCHOLARSHIP IS MONDAY. THAT SCHOLARSHIP IS FOR ROSEAU HIGH SCHOOL GRADUATES WHO ARE MAJORING IN THE FIELD OF EDUCATION.APPLICATIONS FORMS ARE AT THE ROSEAU HIGH SCHOOL COUNSELOR’S OFFICE.